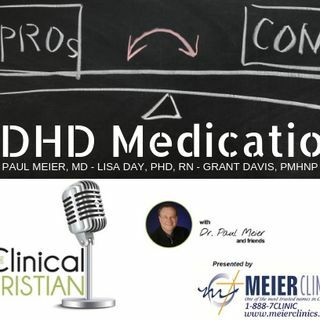 Join host Kristin Walker with Dr. Paul Meier, Dr. Lisa Day, and Grant Davis as they discuss the often misunderstood role of ADD and ADHD medication. There are pros and cons which we discuss in detail with our incredible guests. Dr. Paul Meier is the founder of Meier Clinics, a multi-state outpatient mental health organization, a best-selling author and practicing psychiatrist. Dr. Lisa Day has over 20 years of experience working with individuals, couples, and families struggling with ... Maggiori informazioni anxiety, depression, eating disorders, behavioral/medical issues, addiction, relationship struggles, interpersonal boundary concerns, work/life balance, major life adjustments, divorce recovery, crisis, grief, forgiveness, and loss. She has worked in a variety of settings, including working with adolescents and adults in both inpatient and outpatient programs as well as working as a coach in assisting individuals to identify and reach their full potential in their social and occupational endeavors. Grant Davis is new to the show and is a psychiatric nurse practitioner. Grant provides psychiatric medication management for children, adolescents, and adults. His approach to medication management is client focused and collaborative based on information shared between clinician and the client. Grant believes that a strong therapeutic relationship between clinician and patient is vital for positive mental health outcomes.